Pelactiv Skin care- Australian Made, Visibly healthy skin. Skincare derived with plant extracts. Algologie Skin care- Natural skincare derived from the sea with marine extracts, Made in France. 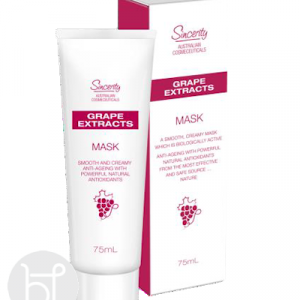 Sincerity Skin care- Skincare derived from grape extracts, anti-aging products. Australian Made. Fleur De Mer Cosmeceuticals Skin care- Quick acting cosmeceutical products with active ingredients. Australian Made. 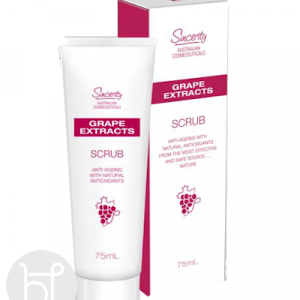 Sincerity Grape Extracts is an Anti-oxidant Range plus a powerful anti-aging actives. 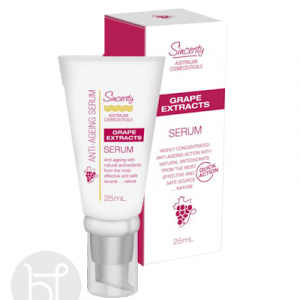 This range will help fight free radicals which have an aging and damaging effect our our skin. Australian Made. 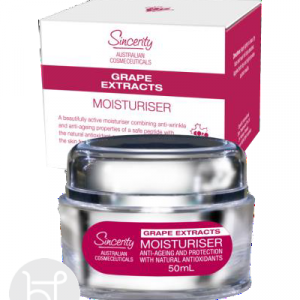 ‘Anti-oxidant Range’- Infused grape water that leaves skin fresh and hydrated. For mature skin. Derived from an original formula, this cream contains an extract of Vine Leaf, a powerful anti-oxidant extracted from Wine and a strong regenerating active ingredient. 5% OFF FULL PRICE ITEMS ONLY. NO CODE NEEDED. Full price items in your cart will automatically get 5% off. All sales items are not included. Not Available on hot products/discounted products. To see when your order will be dispatched be sure to read our Easter trading hours. Click here to view the shipping terms.